Omnisend has recently analyzed more than 128,000 email campaigns and automated emails from more than 7,200 brands to see what is the best time to send emails. 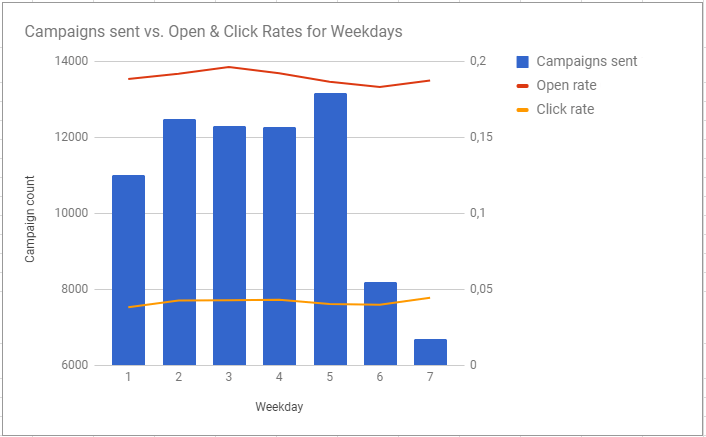 Knowing the best time and day to send your email campaigns could lead to measurable increases in your open and click rates and, ultimately, in your overall sales. 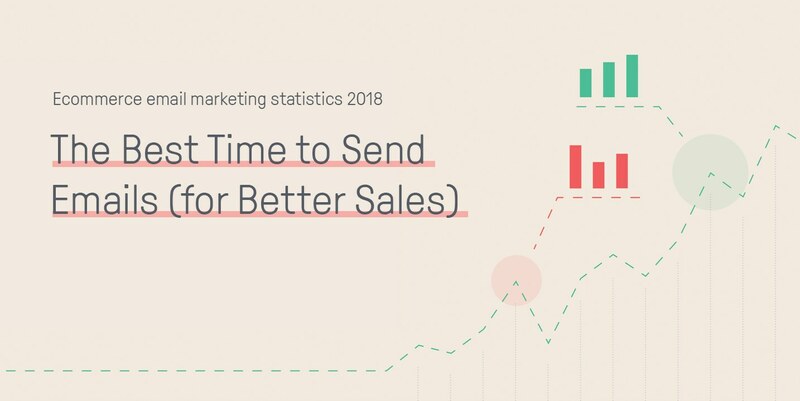 With all this data, we got to see a lot of interesting trends in what is the best time to send emails. Check out our Omnisend Research 2018 infographic to get the most important email marketing statistics. These times include the best day of the week to send emails, the best day of the month, as well as the best time of the day. When we are talking about the best day to send emails, we’re first talking about the best weekday. This goes for many ecommerce businesses, as they often send weekly email campaigns. However, as with many other businesses, there are often great ranges in open and click rates. So what most ecommerce stores normally do is to send emails at a specific time based on intuition. That’s one problem. But it’s even worse when businesses send out emails whenever they remember to send them out. That means they’re not scheduled but rather a matter of luck. Therefore, they can sometimes have great open and click rates or horrible ones. So which is the best day to send emails? The best day for open rates is Wednesday. On this day, brands saw an average open rate of 19.61%. 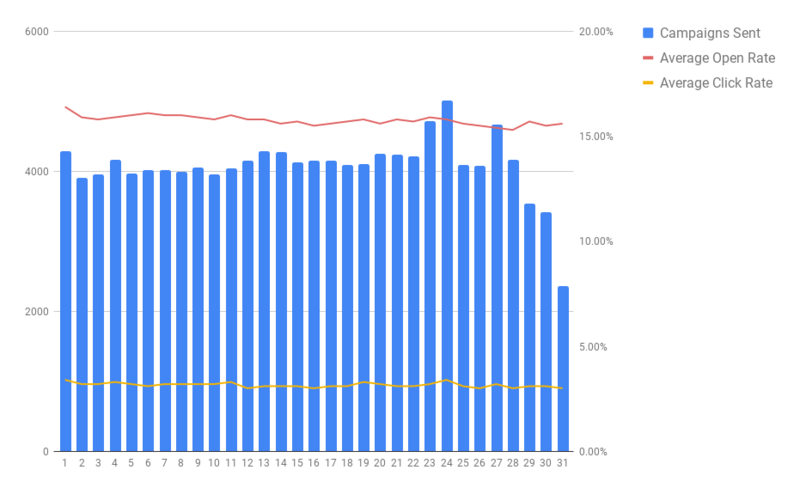 Unfortunately, Wednesday wasn’t the best day for click rates (although it is the 3rd best day at 3.2%). The best day for good click rates is Sunday. On this day, brands saw an average click rate of 4.4%. Unfortunately, Sunday’s open rate had only the 5th best of the weekdays. 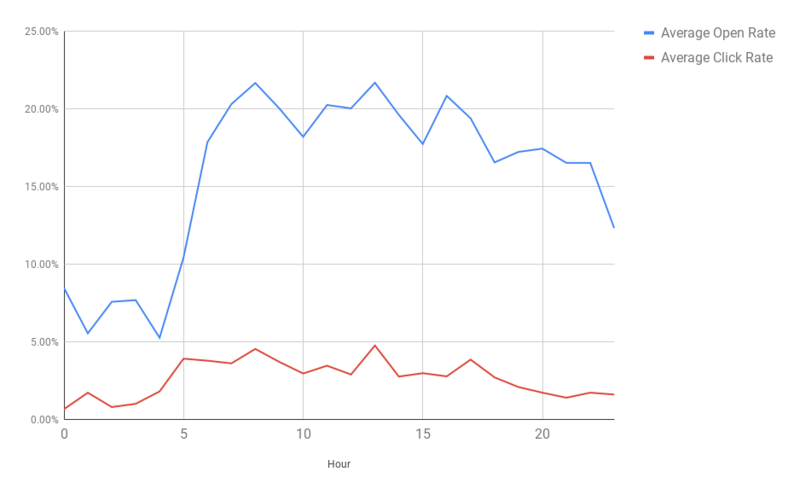 However, rather conveniently, the second place in both open rates and click rates happened to fall on one day – Thursday. 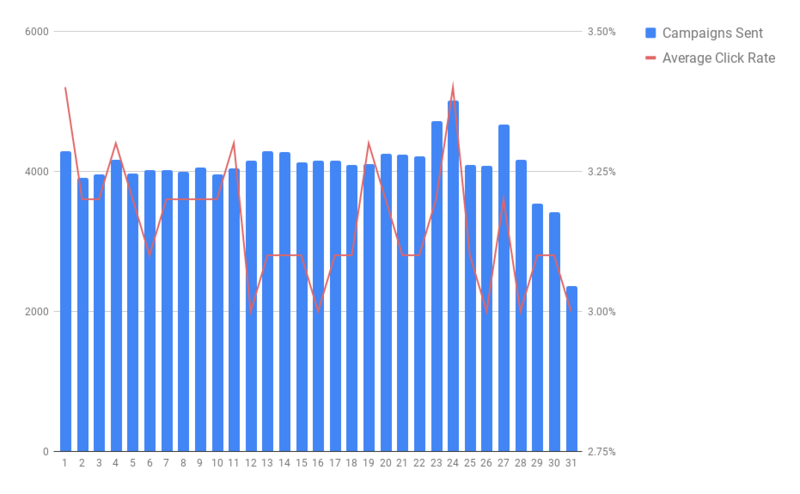 With an average open rate of 19.19% and a click rate of 4.3%, Thursday seems to be a good day for overall improved metrics. Now, while many brands send weekly emails, not all of them do. 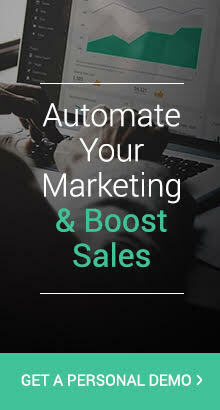 Many brands send various emails; many are automated, some go out weekly and some even on a monthly basis. For them, it’s important to know which the best day of the month is to send emails. For open rates, the best days of the month are the 1st (16.4%) and the 6th (16.1%). The best days of the month are the 1st and 24th (both at 3.4%). What is clear from the chart is that the first part of the month performs better, with the first day of the month having some great rates. When we put all the data together, we see that the second half of the month performs worse, with some of the worst metrics. The 1st of the month seems to do the best overall. When it comes to figuring out exactly which time of the day is the best time to send emails, it becomes a bit more vague. In order to determine which time is the best overall, we narrowed our research down to Omnisend’s UK clients. Here we notice that the open rates jump (or fall) according to when people are most likely to be awake. This makes sense, seeing as people are most likely to be on their smartphones or computers at 1pm (after lunch), easing back into work or taking a break from work. The worst rates are also logical, seeing as people are either sleeping (4am), or not really in the mood to click anything (2am). 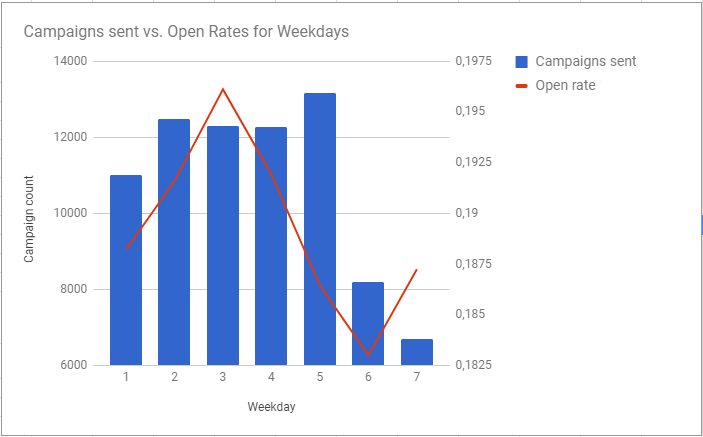 Overall, the open rate follows the daily activities of most people quite nicely, and it’s safe to say that the best time to send emails would be between 8am and 5pm (but just don’t send it at noon). Now that we’ve analyzed the best hour, weekday and day of month to send emails, we can come up with some quick points. The best time to send emails will probably be 1pm or 8am on a Thursday for weekly or regular campaigns. If you’re sending monthly emails, or want to know what day of the month is best to send the most important emails, the 1st seems to be the best. 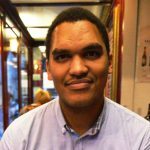 Of course, as with all general statistics about timing and ecommerce email marketing, you have to take these email stats with a grain of salt. If the 1st of the month is a weekend or holiday, it will affect your open and click rates. Also, different industries may react differently. It is possible that if your crowd skews younger, then 1pm emails may be fine for them. However, if you sell to senior citizens, 8am may be better. The point here is: use these stats to your advantage, but use them as one factor in your decision. The other factors should include your knowledge and intuition of your audience, as well as knowledge of your industry. 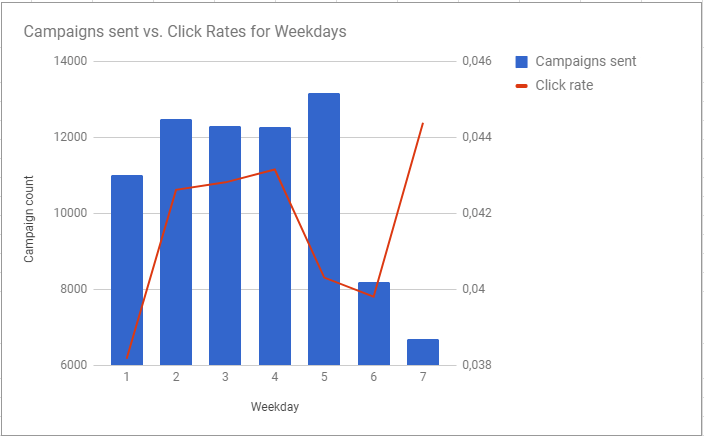 Based on your experience, which times and days are best for your email marketing campaigns? Let us know in the comments below! Very informative, I found this very useful. Thanks for sharing.